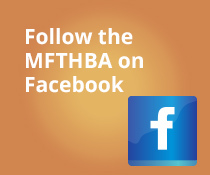 Candidate nominations for this year’s MFTHBA election opened on July 1. Candidates may be nominated for consideration through August 1. During this year’s election, all MFTHBA members will be voting to select the next President and Vice-President to a two-year appointment. Members in Regions 4, 9, and 10 will be voting for a director to represent their area for the next three years. Members in Region 1 and 3 will be voting on a director to represent there area for the next two years. To nominate a candidate, a nomination petition must be completed and submitted by 4 p.m. on Wednesday, August 1. Each nomination petition is limited to one nominee and must be signed by the nominator and the nominee. Both the nominator and nominee must be MFTHBA members in good standing and signatures must be notarized for the petition to be valid. In addition, individuals nominated for regional director positions must reside in the region they are nominated to represent. All individuals on the MFTHBA membership list as of July 1, 2018, will be eligible to vote in this year’s election. Ballots will be sent to members toward the middle of August. If you have any questions on the nomination process, please contact the MFTHBA office at (417) 683-2468 or foxtrot@mfthba.com.